Tube fabrication has become a fundamental part of most surgical devices. 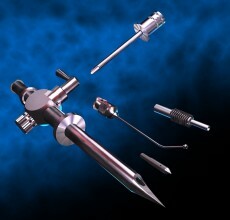 Cadence has one of the most comprehensive collections of tube fabrication capabilities in the medical device industry. Our suite of capabilities was made possible in part by the acquisition of the Popper and Sons company in 2008. Popper and Sons was founded in 1922 and grew into a leading supplier of custom fabricated tubing to the surgical device OEMs.